Here at Calvary we have many ministries but we have listed the main ones here on the site. Contact us if you want to know more about what is available both on and offline. Every Thursday from 12noon til 2.30pm we will be having a free lunch followed by various learning videos on widescreen DVD which are also free. If you find yourself with a couple of hours to spare, or want to learn more, or even to get out and enjoy meeting others why not join with us on Thursdays. 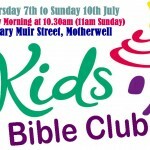 More information is available from office@calvarymotherwell.org or call us on 01698 254848. Prayer is a vital part of a growing church and within Calvary there are several opportunities to come together for prayer. Every Sunday prayer meetings are held at 10.30am and 6.00pm prior to the morning and evening services. The midweek prayer meeting is held every Wednesday (except the first Wednesday of the month,) at 10.30am. More information is available from the office. Hospital and home visitation is a ministry that seeks to extend the love, comfort and compassion of Jesus Christ to those who are admitted to the hospital or confined in their homes for the purpose of physical healing. If you would like to request a hospital visit, please contact the office on 01698 254848 or email office@calvarymotherwell.org. The Hospital/Home Care Ministry team will be notified and a visit will be scheduled by a Hospital Team member. If this is an emergency situation or a life-threatening situation, please contact the pastor. As we are called to help those less fortunate, we have a food donation program in place to provide a bag of groceries for those that need it. One does not need to be a member of this church to benefit from this program, but your attendance is welcomed and encouraged. The food is donated by the members of this body as they feel led to give.